Getting a standard mortgage can seem difficult, especially if it’s something you’ve never done before. Throw bad credit into the equation and things can get extremely difficult! Getting a mortgage with bad credit isn’t impossible, it simply depends on your own individual circumstances. Mainstream mortgage sites often display headline rates which are usually tailored to those with squeaky clean credit files. Along with all the misinformation online, it’s no wonder there’s a lot of confusion on how to get a bad credit mortgage. 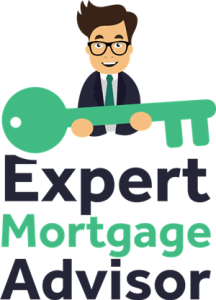 Our expert mortgage advisors specialise in the adverse credit market and secure mortgages for borrowers with bad credit on a daily basis. Having access to the whole market has numerous advantages as we’re not tied to one lender. So yes, getting a mortgage with bad credit is possible! One of our main aims was to dispel any confusion surrounding bad credit mortgages so we’ve put together a small guide below. I need a mortgage with bad credit. Where do I start? If you’ve got bad credit and need a mortgage, take a look at what we’d recommend you to consider below. Checking your credit file is paramount. We’d recommend doing this prior to applying for a mortgage, especially when you have bad credit. We can’t stress this enough! You should check your credit file, as lenders will look at this in great detail. What you may find surprising is that not all credit agencies will display the exact same data on your credit file. This could result in you checking your credit file with one credit agency, which looks great but then you still end up being declined. The reason this can happen is the reporting firms and banks provide information to different credit agencies. One credit firm may report to Experian with another credit firm reporting to Equifax. A report from Experian may not highlight any adverse credit issues and then your lender may check a report with Equifax which does show credit issues, resulting in a declined mortgage application. The first step is to check with the three main credit agencies which lenders generally use. These are Experian, Equifax and Call Credit. For the reasons above, it’s imperative to check all three reports so you know exactly what lenders may find. Simply depending on one credit file is very risky. Websites such as Check My File allow users to check all three credit files in addition to a credit report from Crediva. Myth: Searching my credit file will leave a footprint and decrease my credit score. This is simply not true. A light footprint can be left when you actively apply for credit. Simply searching and downloading your own credit file will have zero impact on your score and most are free to do. If you need a mortgage with bad credit, the last thing you want to do is to start applying everywhere. Often people with bad credit apply for mortgages at more than one place in a bid to secure a mortgage, including high street lenders. This is perhaps one of the worst things you can do. High street banks tend to decline anything to do with adverse credit but often proceed with putting your application forward in the hope to meet set targets. This can be a waste of time and money. In addition, this is likely to damage your chances even further of getting a mortgage. Getting a mortgage with bad credit can be made a lot easier if you speak to specialists who have experience in the adverse field. This brings us on to our next point. Utilising a specialist advisor who has experience with bad credit mortgages can make all the difference in being approved or declined. Even speaking to a specialist advisor can be invaluable. Often specialist advisors who deal with adverse credit mortgages can charge a hefty fee for the privilege. Some may even charge 2% of the entire mortgage amount, however there are specialists who will charge a lot less. Always be honest with your advisor as this will always save time and strengthen your mortgage application. Your advisor will then know where to place your mortgage depending on your financial circumstances. 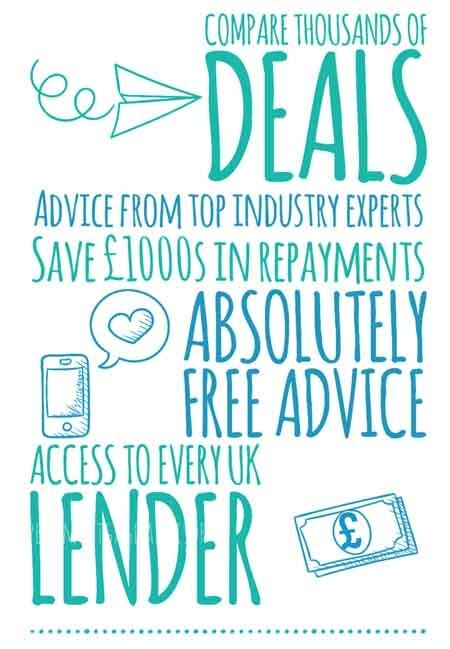 Our specialist advisors deal with adverse mortgages frequently and can offer unique and invaluable advice. Having adverse credit issues make you appear high risk to lenders. Nonetheless, you can take certain steps to try and minimise your risk factor as much as possible. Regardless of your credit score, a high LTV is always going to be a higher risk for the lender as opposed to a lower LTV. In other words, having a large deposit is always better than a small deposit and drastically improves your chances of approval. Lenders may decline a 90% LTV but may approve the same applicant an 85% LTV. Simply raising your deposit by 5% can make all the difference. If you’re unable to part with a higher deposit, the other way to lower the risk attached to you is to try and repair your credit and in turn raise your credit score. There are products on the market such as credit cards designed for people with adverse credit issues. The way these work are to use the card by spending and then ensuring repayments are met on time every month, usually with a direct debit. It can take as little as a few months to start noticing changes on your credit score. Lenders can also see that you’ve taken some financial control by trying to repair your credit score. Read our article on repairing your credit file here. How much does a bad credit mortgage cost? Let’s get straight to the point. If you have bad credit, lenders will tend to charge you more for a mortgage. Again, this all comes down to risk and they try and minimise their risk as much as possible by charging more in terms of rates and fees to the borrower. This doesn’t mean to say borrowers with adverse credit can’t get some great rates, but be prepared! What type of bad credit issues are acceptable? All issues are unique to the individual circumstances. Nonetheless, our expert mortgage advisors have secured mortgages for people with all different types of adverse credit. These range from defaults, CCJ’s, IVA’s, bankruptcy, debt management plans, arrears, missed payments, little or no credit history, poor credit scores and even repossessions. You can visit our bad credit mortgage page for more information. Even if you have a mixture of bad credit issues, it’s still possible and all depends on other financial factors in your application.